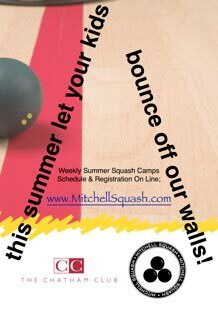 Mitchell Squash was founded in 1990. Focusing our teaching and coaching experience, and our passion for squash, we set out to establish a program aimed at providing the best possible squash education for players of all ages and abilities. For the past 25 years we have helped many N.J. squash athletes attain national rankings. 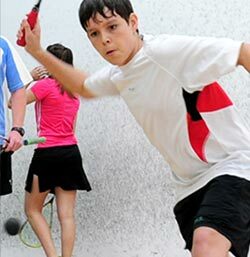 Over sixty junior athletes have graduated from MitchellSquash to play for top university programs. Our program has a reputation for producing the old fashioned “sportsman” armed with exquisite modern skills. 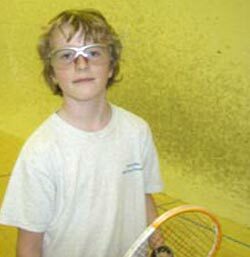 Geoff Mitchell runs Mitchellsquash and is the head squash profession at the Chatham Club. Geoff was ranked #1 in the US over 45 in 2010/2011. He finished 2nd. in the world over 30’s, has reached the US national semifinals in his age group several times and has been ranked as high as #1 in his age group in the US. 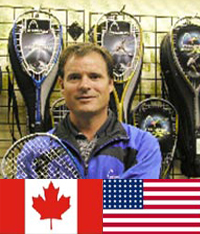 As a former squash professional himself, with national and world rankings he has developed hundreds of juniors to play intercollegiate squash as well as lead successful juniors to US National titles and rankings. His students have competed on US National teams for the world juniors as well as the Pan American Games. Geoff coached the USA Bu19’s at the 2015 British Open and is currently the head regional squash coach for the NJ, NY junior squads. For the past three years Geoff Mitchell has been the chairman of the board of StreetSquash Newark, a non-profit after-school youth enrichment program that provides intensive academic support, squash instruction, one-on-one mentoring, service learning, college access and preparation, and professional development for young people from adolescence through college graduation. Geoff was awarded the United States Olympic Committee National Coach of the Year Award in 2016. Aqib has coached players from rank beginners to internationally ranked players. He is originally from Pakistan. 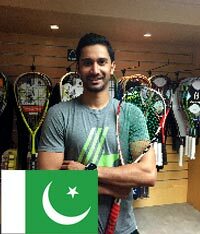 Aqib won the Asian Junior Squash Championships in 2005, and was a quarter-finalist in the 2004 British Open, Bu17. He is a 5-time winner of Pakistan’s National Collegiate Championships and went on to compete on the PSA pro tour for three years. He has achieved a world ranking of 108. Aqib enjoys sharing his experiences as a coach and world-class athlete with his students. 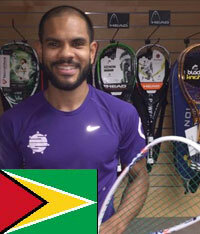 Sunny Seth is a Guyanese squash professional, currently ranked 133 in the world. He was based in Perth, Australia, before moving to the US He has joined our teaching staff and will continue to compete on the PSA squash tour. Sunny represented Guyana in the 2014 Glasgow Commonwealth Games and recently led the Guyanese men’s team to qualify for the 2015 Pan American Games. Sunny hopes to share his experience as a world-class athlete with our Chatham Club squash players.